The Pan-European Picnic and the Breakthrough have become symbols of the reunification of Europe. Thirty years ago, several hundreds of GDR citizens used the opportunity of the civil organized picnic to escape west which meant freedom. This launched some irreversible events. The Berlin Wall soon fell, Germany and indirectly Europe were reunified. The communistic world power collapsed, the Iron Curtain era was over. Central-Europe could start its way towards free civil democracy. With the historical site of the Pan-European Picnic and the jubilee of the „Breakthrough” we are joining the governmental programme,” Free, for 30 years” – said at the site dr. Tamás Fodor, mayor of Sopron. The site of this historic event has been popular with tourists and has been a pilgrimage site to many former GDR refugees and their relatives. There Hungary’s first public creation in connection with the political changes, - Miklós Melocco’s statute with the title Breakthrough - can be found. The site has received the European Heritage Label, acknowledging its special role it played in the process of the reunification of Europe. The Pan-European Picnic has been one of the best known historic event of our history. In connection with this, two separately significant developments are about to be realized. As a part of a governmental investment, the road leading to St Margarethen in Burgenland is being refurbished, pre-works of the project have already started. 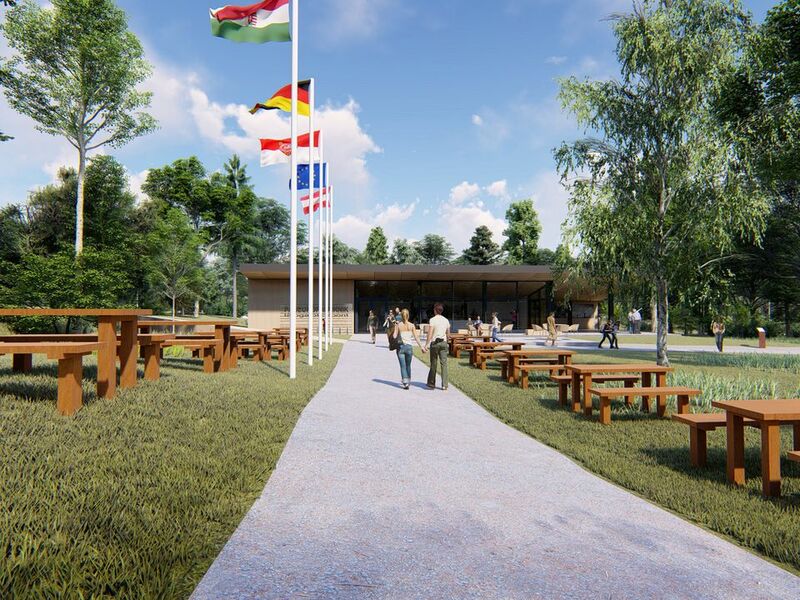 In the area of the Pan-European Memorial Park we are building a visitors centre to get historic events of 1989 close to as many people as possible. During touristic high season the site allows visitors to learn about the past while drinking a coffee or a refreshment drink. 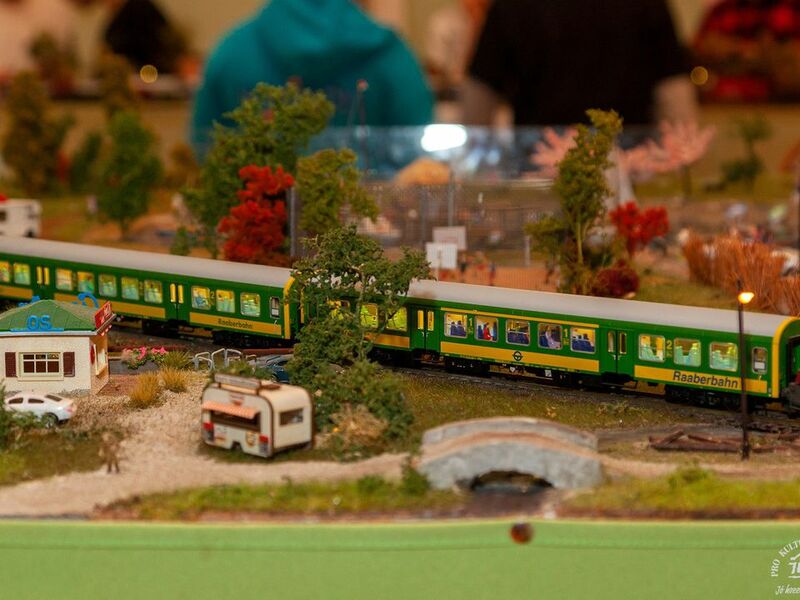 The visitor centre with its almost 340 m²ground area is welcoming visitors from April to October. It is our goal to establish a community place to serve as a memorable site to the historic event. 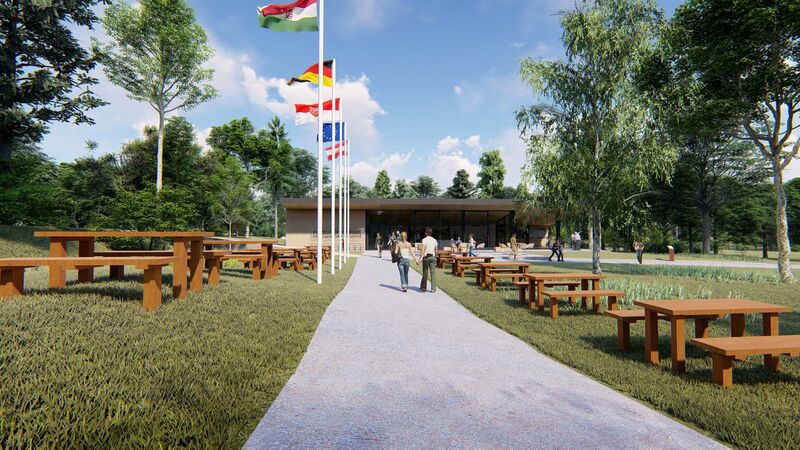 At the Memorial Park a “time corridor” will mark the iron curtain and the moment of the Breakthrough. The project has been financed by EU Territorial and Settlement Development Operational Programme (TOP) co-financed by the Government of Hungary and Sopron City with County Rights. Construction works have been going on since the beginning of 2019 and are expected to be completed by August 2019. The development of the Memorial Park amounts to about HUF 400 millions.